Cecil Fielder and Prince Fielder: The elder Fielder was known for his time with the Tigers and was a 3x All-Star and 2x Silver Slugger. The younger Fielder also spent a couple years with the Tigers, and he currently plays for the Texas Rangers. Prince is a 6x All-Star and a 3x Silver Slugger. David Oritz Is Retiring After 2016: It Is A Perfect Time To Eliminate The DH! David Ortiz has been the quintessential DH in the AL over the last 15 years. Boston is in contention perennially because he put up great #s compared to his competition. Realistically, only he and a few other players are even at the All-Star level, and if given the choice if there were no DH slot in the game, I guarantee you their teams would brave their physical deficiencies – in order to keep their bat in the lineup. The AL has had the Designated Hitter Position since the start of the 1973 season. But that was before Free Agency where the American League has an advantage for signing top guys because of the DH slot, and then there were no Interleague Games, where the AL has a 12 year winning streak, and is routinely posting over a .540 Win Percentage against. 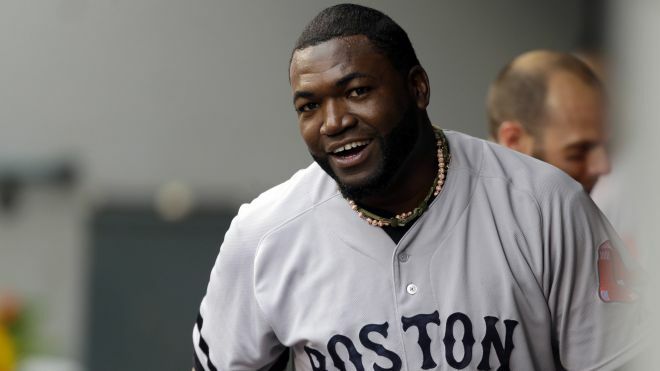 David Ortiz has announced he is retiring after the next season. 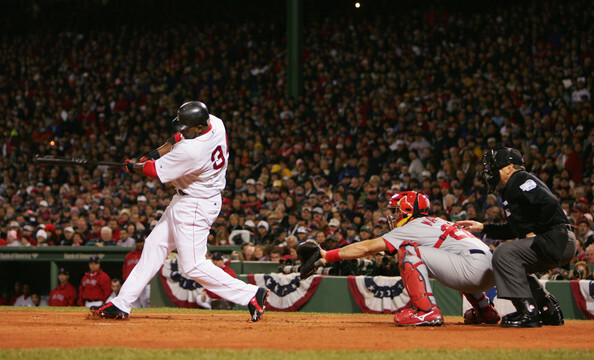 Thus ends the greatest Left Handed DH of ALL-Time, (sorry Harold Baines). The Designated Hitter Position has been taking a hit for effectiveness more and more over the last several years, and more teams than not use it as a rest for veterans. Listed on MLB.com, only 5 DH’s qualified for the Batting Title race in 2015. Billy Butler had a crappy year. I loved it when MLB XM Radio used to do a running total every night on their Roundtrip with Mike Ferrin (Laser Show). So I am bringing it every day on this website. To view every nights big boppers for the whole year (from May 8th) visit the DH page! Chris Carter hit a HR for the 2nd straight game for the Astros last night – and has hit 24 HRs in his last 336 AB dating back to last year in June (1 per every 14 AB). With 27 HRs and 65 RBI (in just 450 Career AB – but a 3 Slash of .213/.303/.734) – he reminds me of a young Cecil Fielder with the Blue Jays .243/.308/.781 – with 31 HRs and 84 RBI in his first 506 AB – before being caught up in a numbers game in Toronto with Fred McGriff. Last Year the former A hit 16 HRs and drove in 39 RBI in just 218 AB during the Oakland A’s big second half. CC was Walking more last year – and held a .350 OBP for the year. The Astros must be patient with this slugger to learn how to hit – despite his AL leading 51 SO. He should be one of the players they keep when the rebuild is finished. The Baseball Struggles of Tall/Heavy Players After 30: Is Prince Next? 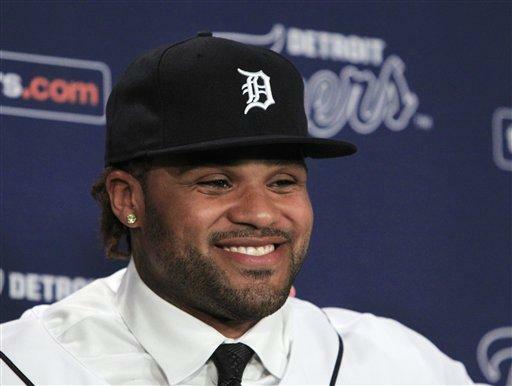 Prince Fielder will turn 29 in May. Throughout my studies of some extremely tall – or heavy playera, the time of deterioration in ones ability seems to seep in about the 34 Year Old Age range. In my opinion, the club should move to trade Victor Martinez and shift Fielder over to the DH position ASAP, so they can preserve his body for the next 8 years of his contract. He will be 37 when his big deal ends. Fielder has a Career 3 Slash Line of .287/.393/.931. The second generation Fielder, has clubbed 262 HRs and added 774 RBI in 1168 Games Played. Will he suffer the same fate as the others in this article (including his dad) – or will he buck the trend? I am still astounded when I see that Prince Fielder has not been turned into a Full – Time DH – and can still man the position of First Base. The Tigers were lucky enough to sign him last year. So when should the club decide to take the glove out of Fielder’s hand? 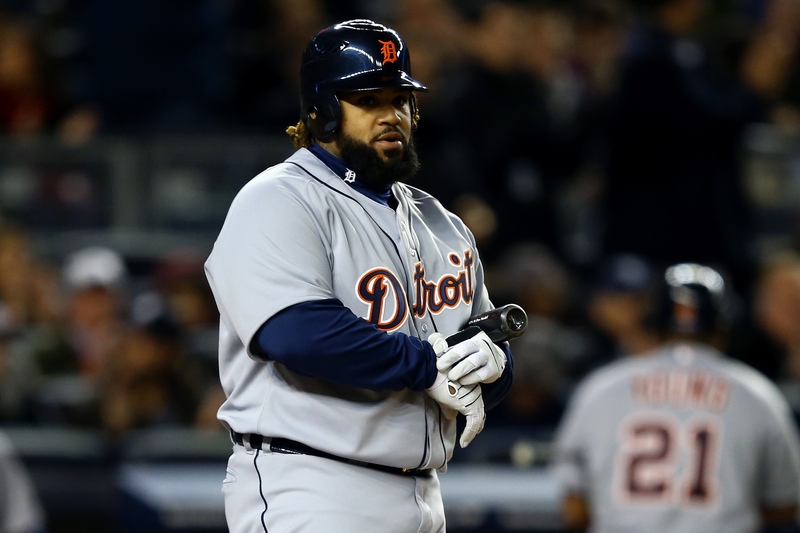 Victor Martinez is there at the Designated Hitter position now, however they should convert Prince Fielder to DH the second V-Mart vacates the club after the 2014 season. When I thought about this a little more I realized that tall/heavy hitters really have a tough time keeping their productivity up once they are near the second half of their career. It is really not that hard to figure out. A player that is taller also carries a larger Strike Zone, where the overweight players will only lose any speed they had as their career starts winding down. For this particular article, I choose 4 players to study this exact scenario. Those players are: Richie Sexson, Tony Clark, Mo Vaughn and Cecil Fielder. 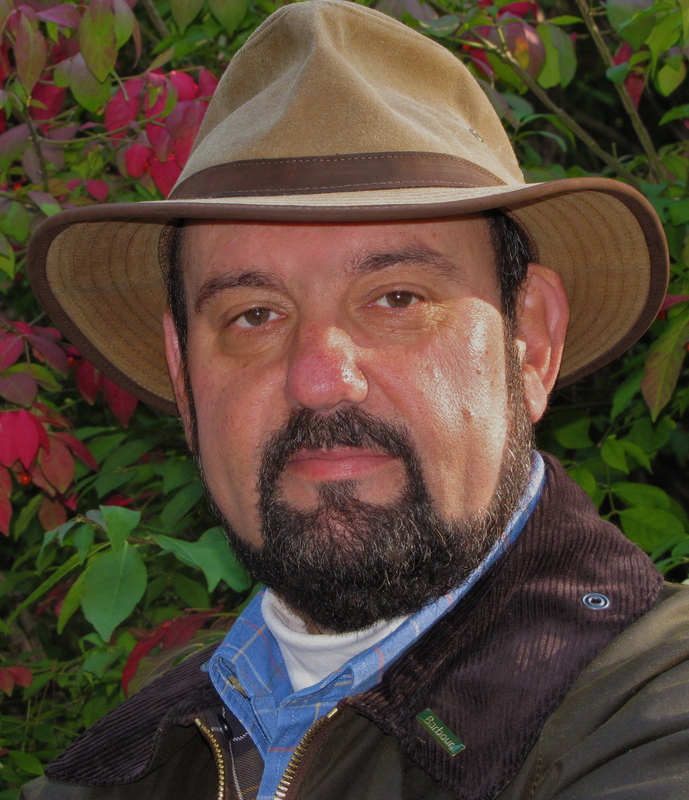 Jonathan Hacohen: On Thursday it became official. 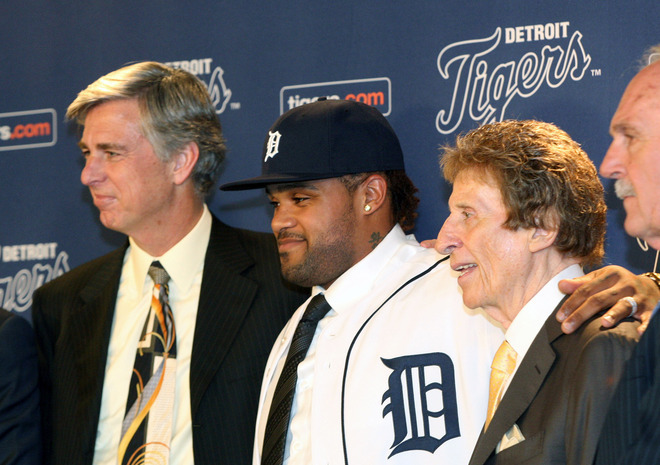 January 26, 2012 will forever be known as the day that Prince Fielder came home. We all know the story. Hitting home runs out of Tiger Stadium at the age of 12, Prince Fielder was a baseball legend from a very tender age. 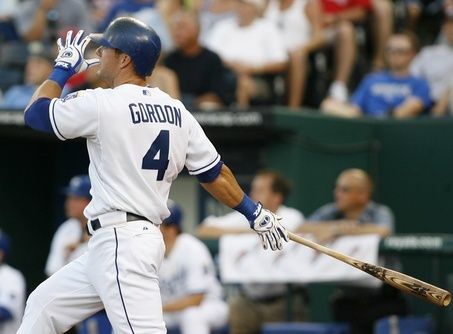 The former Brewers slugger hit the jackpot though, as the Tigers inked him to a 9-year, $214 million contract. At the age of 27, Prince already has 230 career home runs. Think about that one. Six full seasons in the big leagues. Close to forty home runs average per year. A man who has taken 100+ walks each of the last three years. Career .282 AVG. .390 OBP. .540 SLG. Plus he is still 27-years of age. The time in a player’s life when they are just entering their prime. If Prince has not hit his full stride yet…then watch out American League pitchers! For a homecoming that seemed forever in doubt, the end result was a signing that felt right. Given the strained relationship between father and son, most suspected that Prince would not want to come to Detroit. The connections and comparisons to his dad would just be too much for him to handle. For a man who seemed to be very private and low-key, a Detroit signing seemed to contradict what he was seeking. But yesterday, Prince’s childhood dream did come true. Father and son according to reports are repairing their relationship. While it would have been nice to have seen Cecil at today’s press conference, it was not to be. Once Victor Martinez got injured, the Tigers came calling. Mike Ilitch, who knew Prince from when he was a young boy, wanted the young slugger in Detroit. After missing Prince by 1 selection in the 2002 draft, Ilitch was not going to let Prince escape again. The result was the cleanup hitter behind Miguel Cabrera that the team has dreamed of and the lifetime contract of security that Fielder and his agent, Scott Boras sought. With a contract of this magnitude, there will always be debates, speculation and doubt. To help shed some light and clear up the confusion, I went ahead and prepared my top-ten list of reasons why the Prince Fielder Contract will work in Detroit. 1) Health and Durability: In six full seasons, Prince has missed a total of thirteen games. That’s it. For all the talk of weight, this is the modern-day Cal Ripken. Prince is a lot stronger and athletic than people give him credit for. Some consider a contract to be paid based on past experiences, while some believe it should be on future potential. In five years, Prince will only be 32. Based on his track history, it is expected that he should continue his iron-man type legacy for at least half of his contract…maybe more. Until proven otherwise, Prince is reliable and comes to the park to play everyday. There is value in durability, especially in a slugger of this magnitude. 2) The Power Bat: As shown earlier, the numbers are there. Averaging close to 40 home runs per year for his first six seasons. With more to come. Looking at his home/road splits over the years, he varied year to year. I am not sold that Prince was entirely dependant on Miller Park, as he hit well most years away from home. While Comerica is a less hitter friendly park, it surely will not hold Prince back much. Playing in front of the home town crowd, Prince should thrive in Detroit as well. Prince could very well hit 400+ home runs over the next 9-years. Time will tell. But from what he has shown so far, there is no slowing down. Heck, even Cecil hit 17 home runs in his last season at the age of 35. Clearly it can be done. 3) Age: Prince will be 28 in May 2012. For a power hitter of his stature, we should still see 5-6 prime years from him, with the potential to put up strong numbers right up until the end of the contract. While many stars still sign big contracts well into their 30’s, Prince is still in the prime of his life. Compared to Albert Pujols (even without the age uncertainty), Prince is a young slugger playing in his key years. Perfect for a team that plans to make a playoff runs for the next few years. 4) Consistency: Look at Prince’s numbers every year since he started to play full-time in the majors. The numbers speak for themselves, he has been as consistent as they come with no signs of slowing down. 5) Legacy: Many felt Prince would not sign with the Tigers, with the rationale that he wanted nothing to do with his father and to as separated from him as possible. My theory is that Prince actually craves the notion of going onto his father’s turf and breaking all of his records. To become the #1 Fielder in Tigers’ history. The Fielder name on the back of a Tigers jersey is legendary. To have Prince in Detroit now, he will be cementing his place in major league history. Success in Detroit will lead to endorsements beyond Prince’s wild imagination and a greater chance at the hall of fame. Not many people would have remembered Washington once Prince retired, had he played there. But after his career is done in Detroit, few will likely remember him as a Brewer. That is how powerful the Detroit and Fielder connection is. 6) Father and Son: If you haven’t done it already, check out the video at the top of this article to view the full press conference. Notice something interesting? Prince has his son with him the whole time. Remind you of anyone? That’s right. Prince and Cecil. The two were inseparable. I like this signing on a personal level for a couple of reasons. Firstly, it allows Prince to come home and play for the team and city that he spent much of his childhood with. Prince will be able to share the same experiences with his own son that he got to experience as a youngster. But mostly, I can only see this move as a strong indication of the progress and repair to the relationship between Prince and his own father. Considering that his dad raised him, taught him the game and made him into the player and man that he is today, in a perfect world it would have been a beautiful moment to see Prince and Cecil together at the Tigers’ press conference. While that may not have happened, I expect to see the day when the two will be hanging out together at Comerica Park. Three generations of Fielders in Detroit. The way it was meant to be. 7) Miguel Cabrera: Probably the only person happier about this signing besides Prince, Scott Boras and Cecil, would be Miguel Cabrera. While he did enjoy good protection in the lineup from Martinez last year and Ordonez in previous years, having Prince hit behind him will take Miggy to another level. Miggy’s walks have been jumping like mad in the last couple years, given that he has been the Tigers main offensive threat and fave choice of pitchers to pitch around. With Fielder in Detroit, Miggy has the potential to put up even greater numbers if that is possible. Look at what Prince did for Braun. With Miggy and Prince batting 3-4, teams will definitely have difficult choices to make. 8) V-Mart and Alex Avila: Avila, who will turn 25 tomorrow (happy birthday Alex!) had a season for the ages in 2011. The Tigers pitchers were on fire and loved how he called games. Blocked pitches. Threw out runners. Then there was the offense. .389 OBP. .506 SLG. 19 home runs. 82 RBIs. If he wasn’t the best catcher in baseball, he was at the very least top three. This was all done for the most part batting near the bottom of the Tigers lineup. Now imagine him batting 2nd next year. 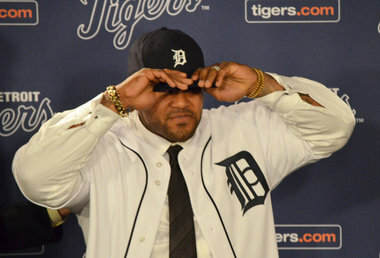 Batting in front of Miggy and Prince, Avila could have a .450 OBP or higher. Avila, like much of the Tigers hitters will greatly improve by having Prince in the lineup. Then come 2013, when V-Mart is in the lineup, the Tigers lineup will become nearly unstoppable. 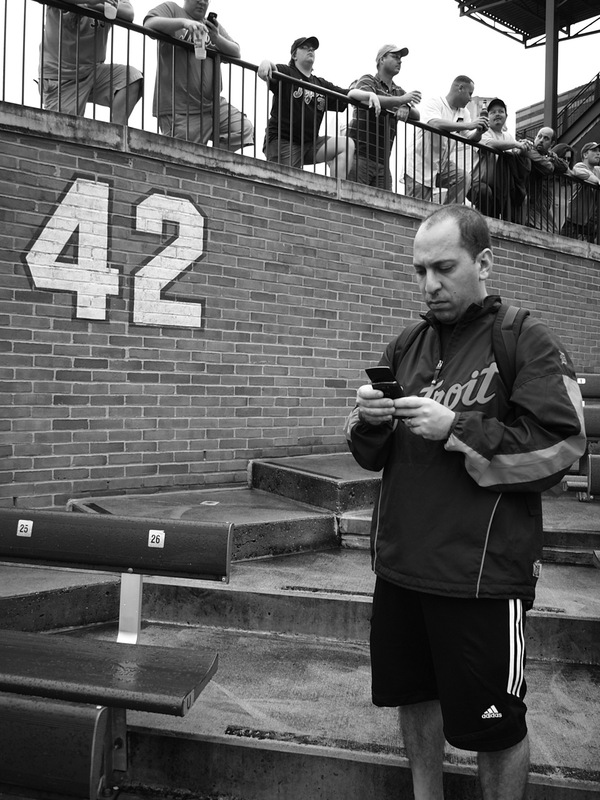 Miggy, Prince, Avila and V-Mart…all in the same lineup? I am practically drooling. 9) The Price is Right: Once upon a time, Vernon Wells signed a 7-year $126 million contract. Approximately $18 million per season. Jayson Werth with nearly the same deal. Pujols signed for 10 years $240 million. Pujols is also 32 (in Dominican years). Even if he is only 32, when Pujols turns 36 he will only be 5 years into his deal. At age 36, Prince will be done his. Werth will be 38 when his deal is done. Wells will be 36. The point is that there are many worse contracts out there. Compared to Wells and Werth, Prince is younger and far more consistent and productive. While Pujols is Pujols, you have to feel a bit edgy about his chances of completing his monster deal. Prince is a slugger and still has many more key years left. Considering what some of the other top contracts looked like, Prince money is not far off to what the elite are supposed to receive. At least in the case of Prince, compared to Werth and Wells, he had the track record to earn what he received. Relatively to the other “stars” I mean. 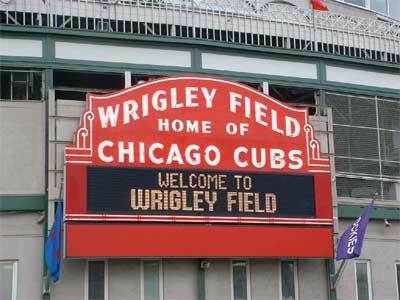 10) World Series: The Detroit Tigers of 2006 and 2011 really stick out in my mind. Two ballclubs that really needed an injection of runs to get over the hump. Especially last year’s edition. The squad had Verlander and Fister to start, with Valverde and the bullpen to keep the team close in games. But the team needed far more pop, other than Cabrera, Avila and V-Mart. Now with Prince, the team has the potential to challenge for baseball supremacy for the next 5+ years. Few players are difference makers. Prince is one of those players. 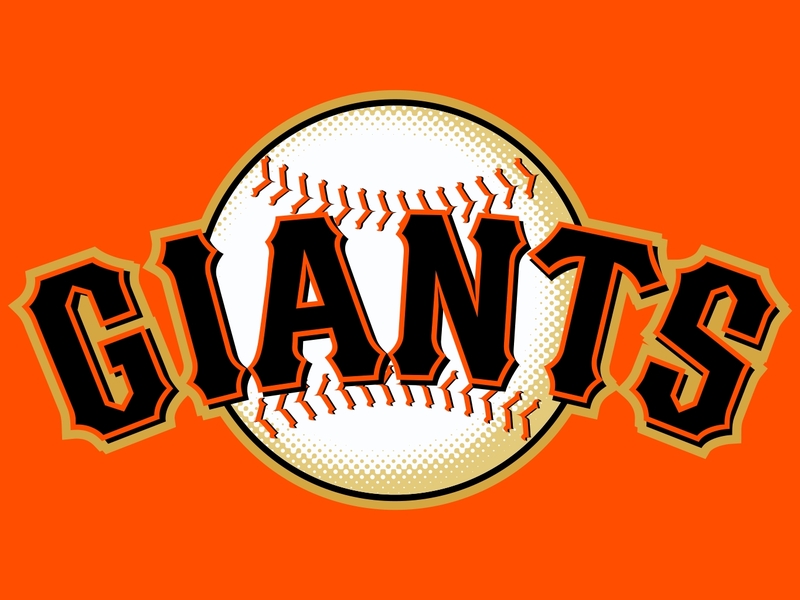 Look at the Giants with Barry Bonds in the lineup. They always a had a chance. That is the biggest reason I saw the Giants being the team to grab Prince. I got the orange color right, but not the league. With such a high payroll and great band of stars and supporting players, the Tigers were seemingly one piece away from going to the World Series last year. Now hopefully, Prince is that missing piece to complete the Tigers playoff puzzle. Without a doubt, some people have concerns about this signing. Most of the criticism falls around the dollars involved, length of contract, Prince’s weight and defensive questions. Let me answer those questions quickly. Firstly, the pay is the pay. The going rate for an elite superstar hitter is $20+ million per season. The number is still rising believe it or not. Remember, Prince will be only 28 this season. If he became a free agent in say 3 years, what would the market price be then? The dollars per year is market rate, whether we like it or not. As far as length of contract, by year 6- Prince will still be 33. Still very young in baseball terms. So the question for me is not the total length of contract, but the production the Tigers will receive in years 7-9. But even in the worst case and the Tigers get superstar numbers for approximately 6 years and decent numbers for the last 3, the contract will still make sense. If the Tigers win it all in any of those years, then nobody will even remember the contract. All they will remember is the ring and trophy. As far as Prince’s weight and defense, I will say this. I have already shown in this article Prince’s durability. Not one issue was made of Prince’s weight in the press conference or by the team. Prince is a big man, no doubt. But he is a good athlete who is in much better shape than he is given credited for. As long as he is not missing games and his production is of an elite level, people should not be concerned. We are not trying to sell jeans people…we are trying to win ballgames. Lastly, I think Prince gets an unfair label from a defensive standpoint. While he may never win a gold glove and has the occasional lapse, for the most part he does the job. He works hard on the defensive aspect of his game. Moving Miggy to 3B or the OF is not a reflection on Miggy being an inferior 1B candidate. Rather, Miggy has experience at other positions and is still young enough to conquer them again. Prince did not sign this deal to be a DH. Yes, it will be an advantage to have him DH in back-to-back night/day games and for occasional breathers. But Prince is still young and capable. Like most young players, you don’t want them to strictly DH, since it takes them off the field and out of the game in many cases (see Adam Dunn). Prince will get the job done and having him at his natural position will make him most comfortable and likely productive. That is a good thing for the Tigers. At the end of the day, I have one last message for any last doubters left. Mike Ilitch just spent $214 million of his money, without hurting his ballclub. It’s his money and he can afford it. At the end of the day, this is not my money or yours. It’s the Tigers cash. If they want to spend it on Prince, all the power to them. This article addresses why the signing will work and makes sense. But ultimately, the Tigers wanted Prince from the time he was 12 and now he is home. Welcome back to Detroit Prince. Enjoy him Tigers fans…you are getting a bona fide superstar coming to your town. 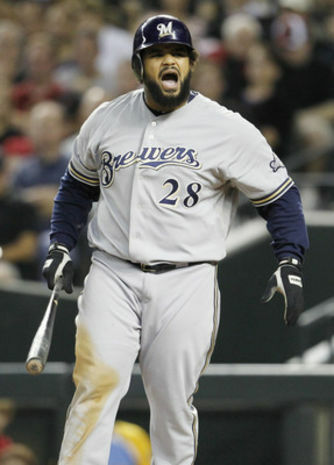 Doug Booth- Baseball Writer: I am still astounded when I hear that Prince Fielder has not been signed yet. This man is a powerhouse that would help any ball club. So what is going on? When I thought about this a little more I realized that tall/heavy hitters really have a tough time keeping their productivity up once they are near the second half of their career. It is really not that hard to figure out. A player that is taller also carries a larger strike zone, where the overweight players will only lose any speed they had as their career starts winding down. For this particular article, I choose 4 players to study this exact scenario. Those players are: Richie Sexson, Tony Clark, Mo Vaughn and Cecil Fielder. Richie Sexson-(Career .261 306 HR 943 RBI), is one of the tallest players ever at 6’6″. For the first 9 years of his career, this Oregon Native terrorized pitchers and routinely deposited baseball into the bleachers. During those years, the man clubbed 270 HRs and drove in 824 RBIs, power numbers that put him amongst the best in baseball. Despite being quite thin, Richie began having problems in the field and at the plate once he hit the age of 32. 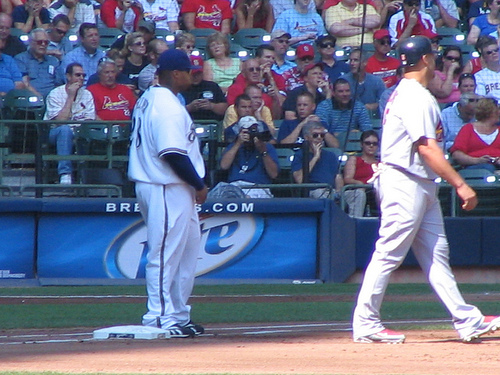 In 2007, Richie Sexson only hit .205 and was striking out on the outside pitch at the knees frequently. We are talking about a professional hitter who put together 6- 100 RBI seasons. Within a year, Sexson was out of the league without any takers. It wasn’t a real gradual drop either. At age 31 Richie Sexson hit 34 HRs and 107 RBIs for Seattle, a place where half of his games were played at pitcher friendly Safeco Field. Tony Clark-(Career .262 252 HR 824 RBI), is 6’8″ and was drafted by the Detroit Tigers in the 1990 Amateur Draft. Clark started out his first seven seasons with the Detroit Tigers by hitting .277 with 156 HRs and 514 RBIs. While he was not as potent as Richie Sexson, Clark ended his career with Tigers with a slugging percentage of .502. At age 30, the Boston Red Sox now had Clark as their 1st baseman. However, this was short-lived as he struggled badly. In 2003 and 2004, Clark spent time as injury relief for both of the New York teams. The Mets used Clark when Mo Vaughn retired in 2003, while the Yankees had him play 1st base when Jason Giambi was out for the year with stomach pains in 2004. In both cases Clark responded with 16 HRs, in half of the at-bats of a regular year. Tony Clark played regularly during the next season for the Arizona Diamondbacks, hitting 30 HRs in only 130 games, while also slugging a career best .636. Tony struggled to stay healthy after that year, although he provided some nice pop as a pinch hitter. His career as a regular had been over since he had turned 33. 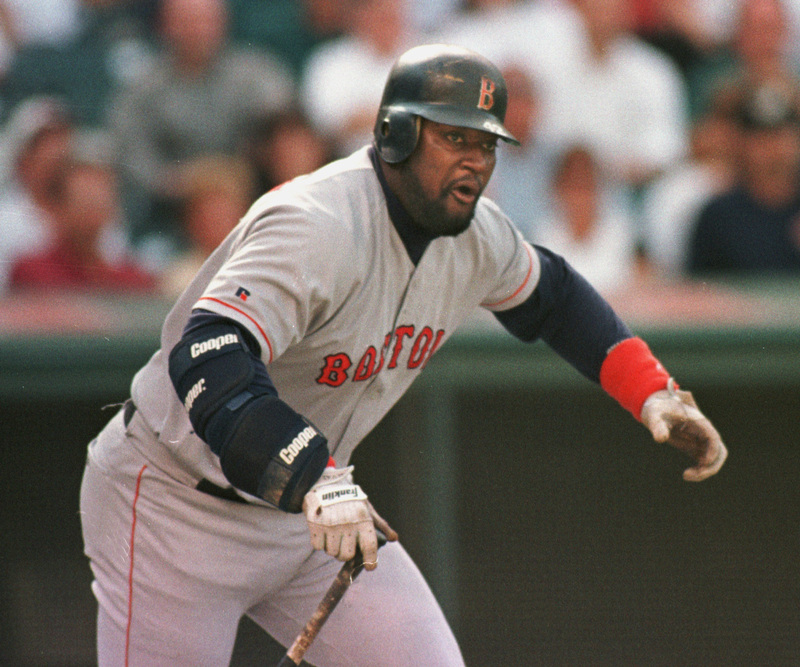 Mo Vaughn-(Career.293 328 HR’S 1064 RBI), is listed as weighing only 225 pounds at baseball reference.com, but for those that watched him play, knew that was way under the weight Vaughn played at once he left Boston. Vaughn spent his first 8 years with Boston hitting .304 with 230 HRs and 752 RBIs. Vaughn was named the 1995 AL MVP when he hit 44 HRs and drove in 143 RBIs. The man was a beast in his Boston days. After posting 2 decent years with the then ‘California Angels’ hitting 30 HRs and driving in 100+RBIs, Vaughn signed with the New York Mets. Vaughn showed up to camp out of shape (at age 34) and slumped in his first year with the Mets. More health issues came up the next year and a knee injury brought the man to retirement. Those were knee problems that arose very likely from carrying all that extra weight on his frame. Cecil Fielder-(Career .255 319 HR’S 1008 RBI), is a classic example of what I am talking about. With the Toronto Blue Jays, Cecil hit 31 HRs in only 504 ABs. But there was a problem. The Jays featured AL home run king Fred McGriff at that time with John Olerud in the system. So Cecil Fielder was off to play in Japan for a season. Earlier in Cecil’s career, he was much leaner until he joined the Detroit Tigers. In 1990, ‘Big Daddy’ signed with the Detroit Tigers and went on to hit 51 HRs and drove in 132 RBIs. It was the first time a player had hit 50 homers in a year since George Foster did it in 1977. Cecil Fielder led the league in RBI for his first three years with the Tigers, and he also finished with 44 HRs to lead the league in homers for his second year with Detroit. At the age of 32, he was traded to the New York Yankees at the deadline before helping them secure New York’s first championship since 1978. After the following season, the Yanks felt they were better suited to use Darryl Strawberry at DH and Tino Martinez at 1st base, so they let Cecil leave. At age 34 Cecil was big and slow and ended his career after a great 10 year run. So maybe this is the reason that teams have not signed Prince to a huge 8+ years contract. Based on my research, the most I would give Prince is a 5-year deal. Pay him more annually if you wish, but do not make the mistake as other teams have made in the past. I do not want to add Prince to this list after his career is over. 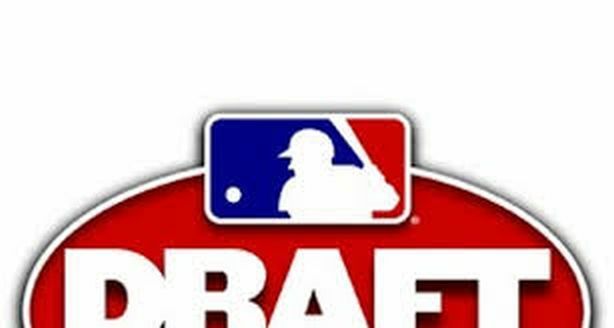 MLB reports – Jonathan Hacohen: On Friday night, I got to combine two of my favorite loves: baseball and food. The Ontario Blue Jays were kind enough to invite MLB reports to be a part of their Gala Dinner and Inaugural Hall of Fame Induction Ceremony. The event was held at La Primavera, a beautiful banquet facility in Woodbridge, Ontario (Canada). It was definitely a night to remember. 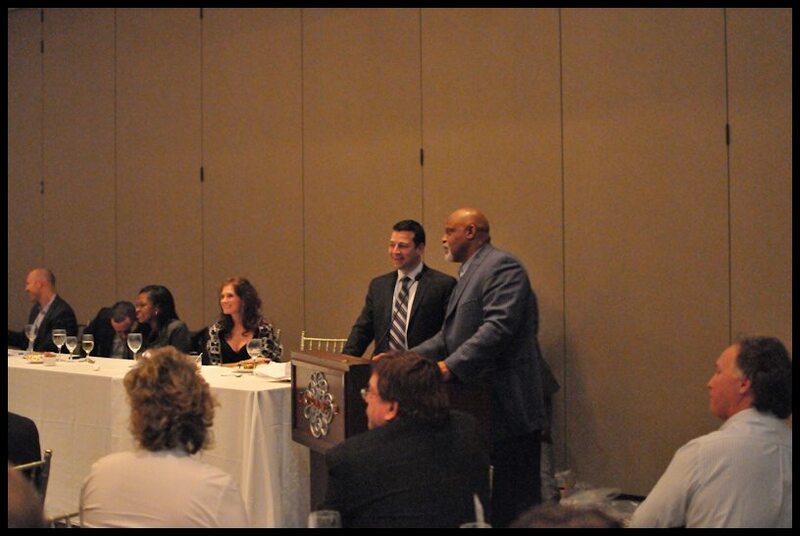 The OBJ delivered former MLB slugger Cecil Fielder as the Keynote Speaker for the evening. Having grown up watching Big Daddy play on the baseball field, it was an honor and privilege to speak to him during the night. More on Cecil to come, but let’s say that he certainly did not hold back in his speech. Cecil discussed everything in his captivating address to the starstruck audience. From growing up and playing football/baseball, to his time in Japan, Toronto, Detroit and New York. 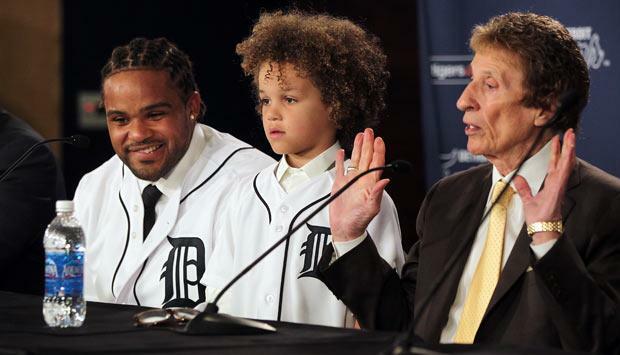 Cecil also touched upon his personal life, including his recent remarriage and of course, son Prince Fielder. But firstly, the event itself. Director of Baseball Operations for the OBJ, Dan Bleiwas put together a first-rate program. From the Keynote Speaker, to the inductees, memorabilia auction and of course, the food! I had my eye on a Carlton Fisk autographed lithograph among the many prizes available up for grabs. But with the big spenders on hand that night, it was not meant to be. With a good fill of steak and tiramisu in my belly though, I surely wasn’t complaining. We sat at Table 5 (the most rocking table in the house). 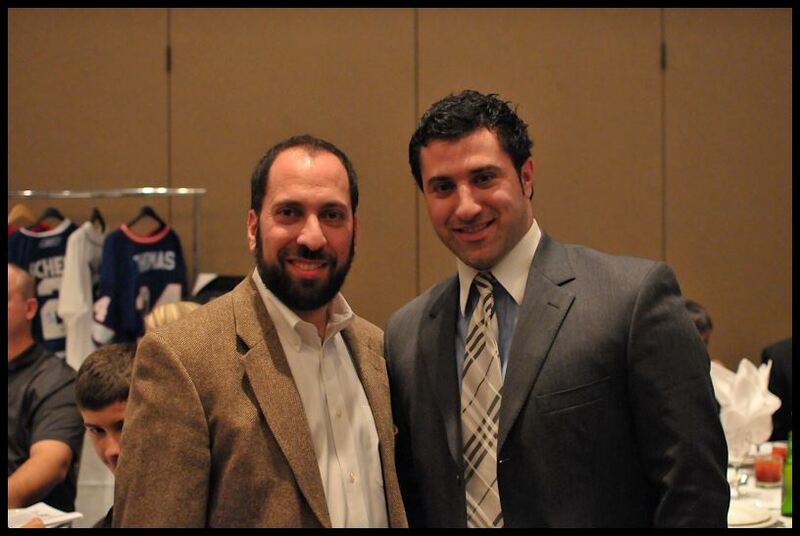 I spent a great deal of the night catching up with Michael Bonanno, Vice President of Oak Sports Management. As a baseball agent, Michael’s phone did not stop ringing or buzzing the whole night. It was definitely a pleasure to talk baseball with an industry professional of Michael’s stature. Overall, the room had a great vibe from the start. Baseball talk was in the air, from the cocktail hour right through to the speeches. The night was meant to be a celebration of baseball and the OBJ delivered in that respect perfectly. ADAM STERN: We love Adam on so many levels. A member of the OBJ from 1997-1998, Stern has really experienced all levels of major league life. 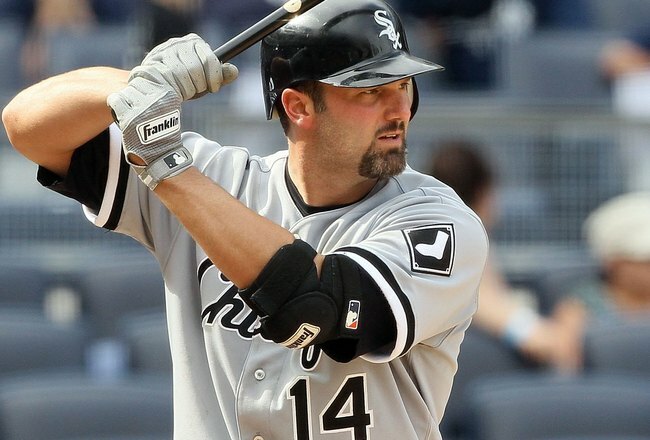 A 3rd round pick of the Braves in 2001, Stern played for the Red Sox, Orioles and Brewers. A member of the Canadian Olympic team in 2008. But we will most remember Stern for his play in the World Baseball Classic. 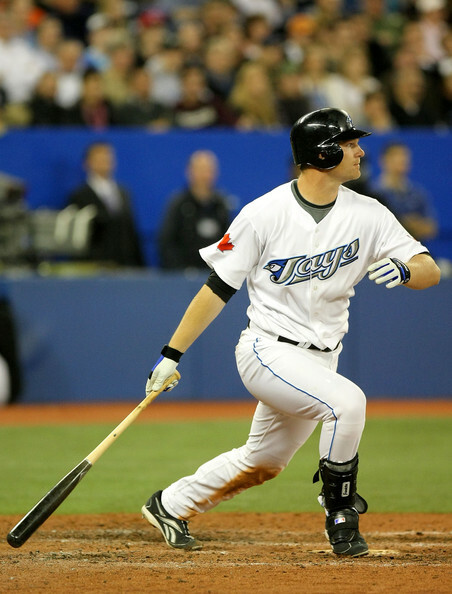 During the 2006 edition, Stern was the team catalyst- as he almost hit for the cycle with 4 RBI’s as part of Team Canada’s victory over the USA. As down to earth of a player as you will find, Stern embodied the terms hustle and grit during his career. Stern was solid defensively and provided a spark offensively on all the teams he played for. Speaking to him during the night, we reminisced on his career as he recently retired. It would have been a treat to see Stern play for the Toronto Blue Jays, but unfortunately the fit was not in the cards. Reflecting on his time in baseball, Stern had no regrets. As he shouldn’t. The man reached baseball heights that few do and is a great role model for all kids learning the game, not just Canadians. Now in his new role, Stern is the Program Director for Centerfield sports, a sports training facility located in London, Ontario. Adam has agreed to be interviewed for the Reports and we look forward to bringing you his story very soon. PETE ORR: A member of the OBJ from 1996-1997, Orr was drafted by the Rangers and later signed by the Braves. Orr has played at the major league level with the Braves, Nationals and Phillies. 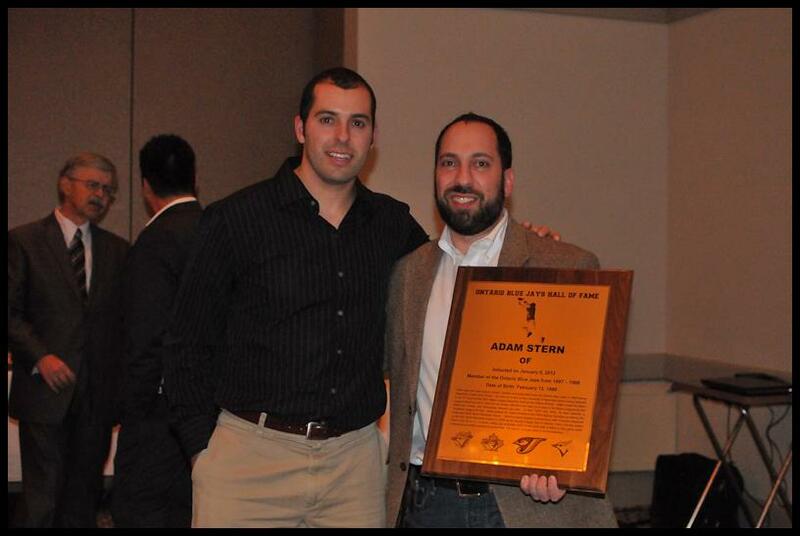 Like Adam Stern, he was a member of both the 2006 and 2009 WBC Canadian teams. 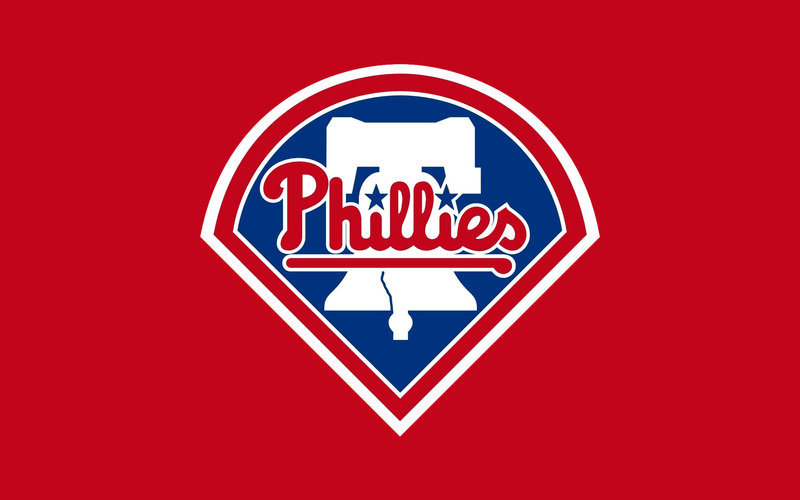 Pete will be back with the Phillies in 2012. We talked about his love of the city of Philadelphia and he is definitely chomping at the bit to get to Spring Training. At 32-years of age, Pete Orr still has a lot of baseball left in him. Having achieved a solid major league career, he was a very worthy choice for the inaugural OBJ Hall of Fame class of 2012. TYLER JOHNSTONE: A member of the OBJ from 1999-2002. Johnstone was a shortstop in the New York Mets organization and played for the Winnipeg Goldeyes in the Northern League. He played in the Connie Mack World Series in 2001. Johnstone also attended Purdue and Auburn before turning professional. An interesting note is that Johnstone played every inning of every game for the Tigers between 2005-2006 and led the team in stolen bases as both a junior and senior. After the Hall of Fame inductees were named and presented with their plaques following their speeches, the night turned to the Keynote Speaker. The man needed no introduction, as the name Cecil Fielder says it all. 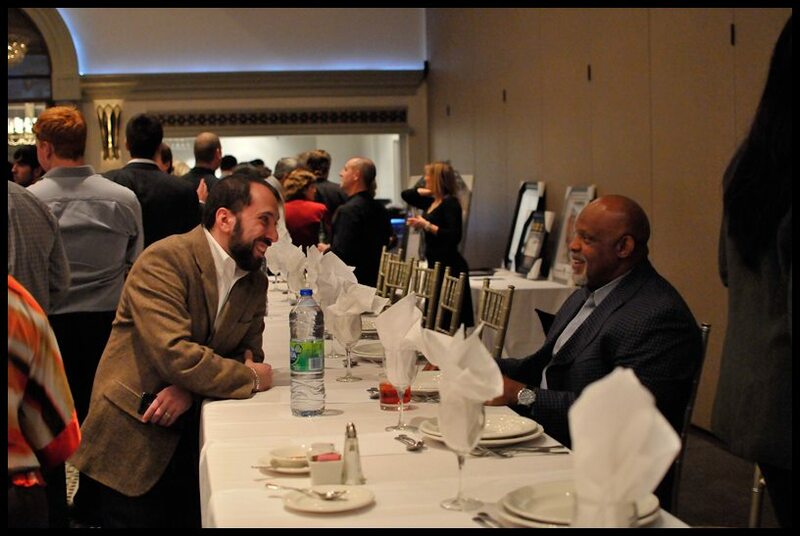 I had a chance to speak to Cecil before the dinner and catch up with the former MLB superstar. I had no idea what to expect, given that the last time I met him was in 1990 as a youngster. Since then, Cecil has retired and remains away from the game. Now based in Atlanta with his wife (as he recently remarried), he spends his time running a baseball academy. We shared our experiences as fathers and talked about his role as a dad in raising his son Prince. Watching the both of them during Cecil’s playing days always stuck with me and inspired me in my role as father in the present day. Whenever he spoke about Prince, there was always a gleam in Cecil’s eyes. He loves his son very much and that came across clearly in his words. He did make it clear to me though that he has no interest in returning to professional baseball, whether as a coach or broadcaster. Cecil is more interested in spending time with his family and raising his kids than starting over in the minors. His family comes first. When Cecil took the podium, every eye in the room was on him. You can’t help but be drawn to his presence. I didn’t recognize him right away when we were introduced. But once he started speaking, you couldn’t miss that he was Cecil Fielder. He spoke to the room for over 30 minutes, but it felt closer to 5. It was that good of a speech. Cecil talked every aspect of his life. From his football days and decision later in his youth to switch to baseball. To being drafted by the Orioles and then Royals, with his eventual trade to Toronto. Cecil expressed his love for the city of Toronto and the 1985 Jays squad. To playing in Japan, Detroit and New York, we really got to learn every aspect of his career. I was particularly interested in his discussion of the 1996 Yankees World Series team. From the bullpen of John Wetteland and Mariano Rivera, to a young Derek Jeter blasting Mariah Carey in the clubhouse. Cecil was very animated and had people laughing in tears. When it came to his son Prince, Cecil spoke at great lengths. From Prince’s weight issues as a child and Cecil’s assistance in getting his son into shape. Cecil spoke fondly about his son and with great pride in his voice. When it came to Prince’s next destination, the indication from Cecil was that it would be Washington. I had asked him before about the chances of the Jays signing his son and he just let out a laugh. “Not going to happen”, was the response I received. We have Cecil’s speech for your viewing pleasure coming soon on the Reports. 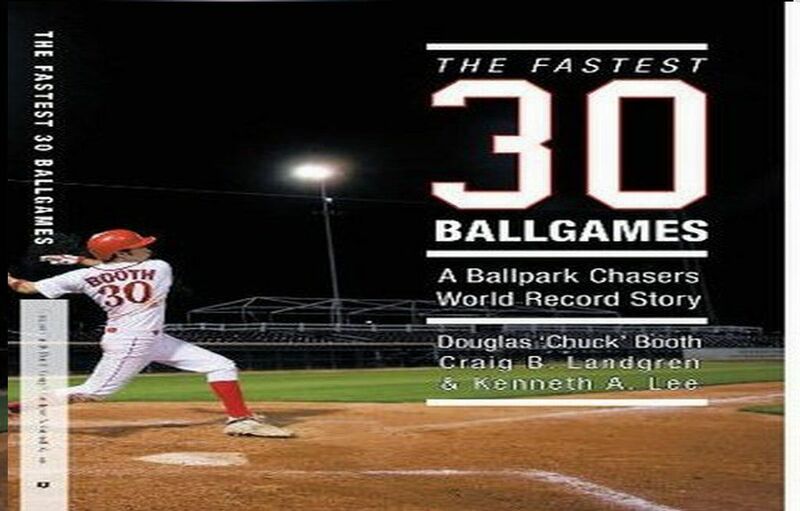 It is one of the best baseball talks you will ever hear. 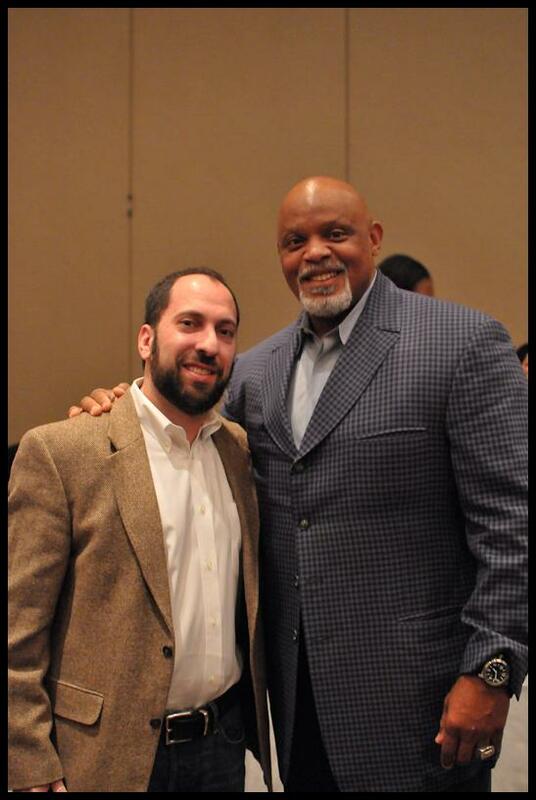 If you are a baseball fan, you will sit back and enjoy the life of Cecil Fielder in his own words. Overall it was a magical night of baseball history. Congratulations to the Ontario Blue Jays Hall of Fame Class of 2012. 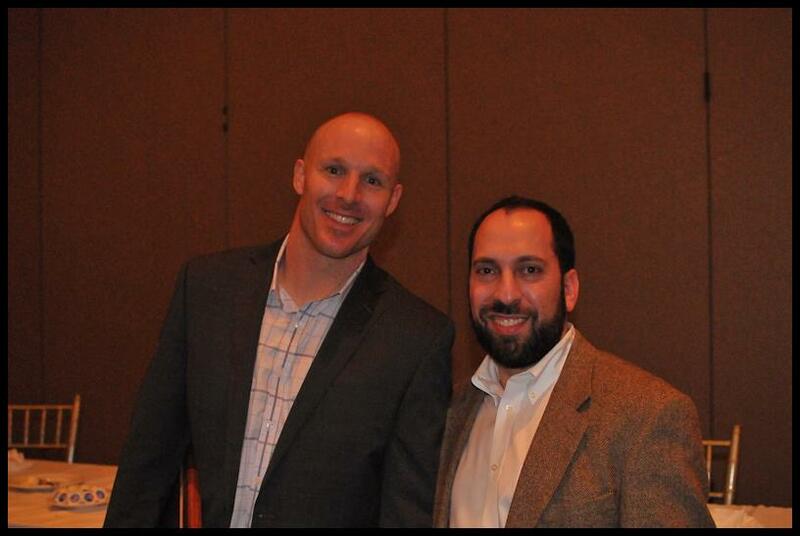 A big thank you again to Dan Bleiwas and Drew Taylor for all your assistance in having MLB reports cover the gala. To our photographer Joel Lopata (Twitter @JoelLopataPhoto), who took all the pictures used in this feature. You can click on the MLB reports Facebook page to view the entire album of the evening. We look forward to joining the Ontario Blue Jays in 2013 for their next Hall of Fame class. You can follow the Ontario Blue Jays on Twitter (@OntarioBlueJays) and check their website: http://ontariobluejays.com.